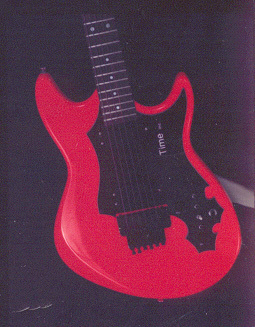 This has all black hardware, A Floyd Rose, and retina burning fluorescent red paint. I believe this was built for the Guy that played for the Hollywood Indians. My cousin has one of these. Almost identical!! !